As of May 1, Belgian Dieter Vranckx will become the third member of the Management Board of Brussels Airlines, which will collectively report to the SN Airholding Board of Directors. Next to his responsibilities as Chief Financial Officer, Dieter Vranckx will hold the position of deputy CEO of Brussels Airlines. 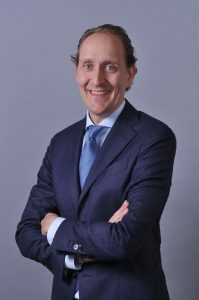 Dieter Vranckx, currently Lufthansa Vice President Asia Pacific, will head the finance department (accounting, controlling, legal, purchasing & facilities) of the Brussels based airline, as well as the Aeropolitical and HR units. The IT division will also be placed under his responsibility.